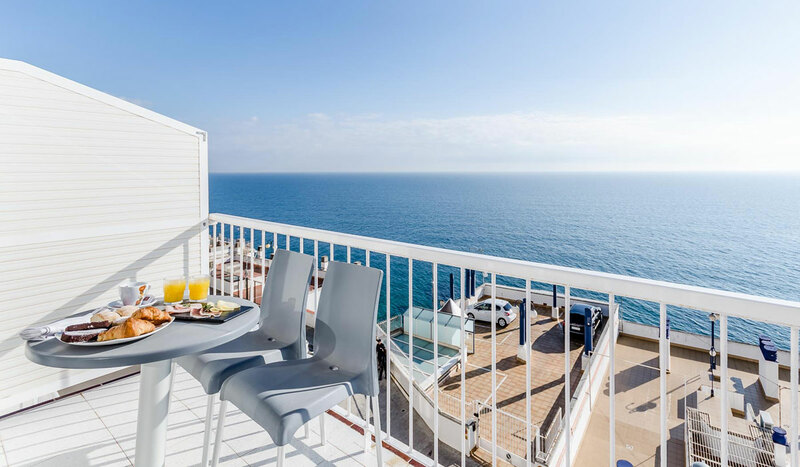 A weekend in Sant Pol de Mar, Best price in full board. Includes dinner, breakfast buffet, lunch. Available all year except during July and August. Half board. includes diner, breakfast buffet. Drinks not included. VAT included. Check availability and prices. Late check out till 17:00h. from January 1 to May 31, and from 1 October to 21 December. Surprise your partner with an unforgettable night in a room with romantic sea views. Includes: Tasting Menu dinner, buffet breakfast (in room upon request), Lunch Menu Gran Sol Bottle of cava in the room. Drinks not included, VAT included. (139€. Supplementary 10€ in July and August). Late check out to 17:00h. Surprise your partner with an unforgettable night in a double room with romantic sea views. 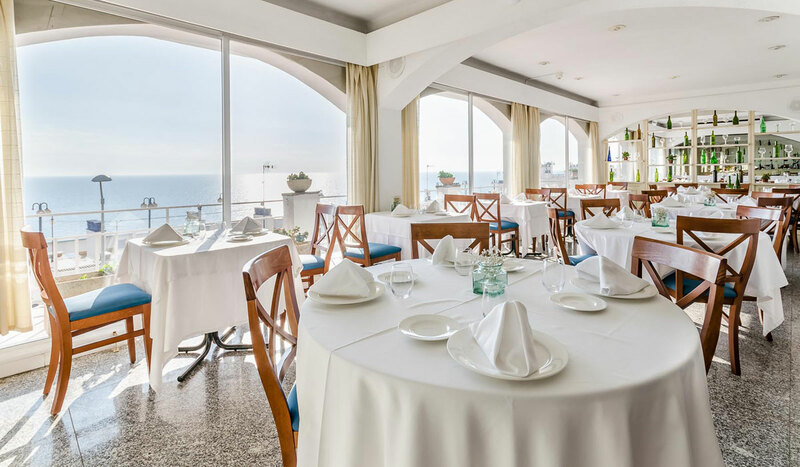 Includes: dinner tasting menu, buffet breakfast (service in room if requested previously), lunch menu day and welcome cava in the room. Drinks for meals not included, VAT included. (Supplement of € 10 in July and August). Late check-out until 5 pm from January 1 to May 31 and from October 1 to December 24 and according to availability. 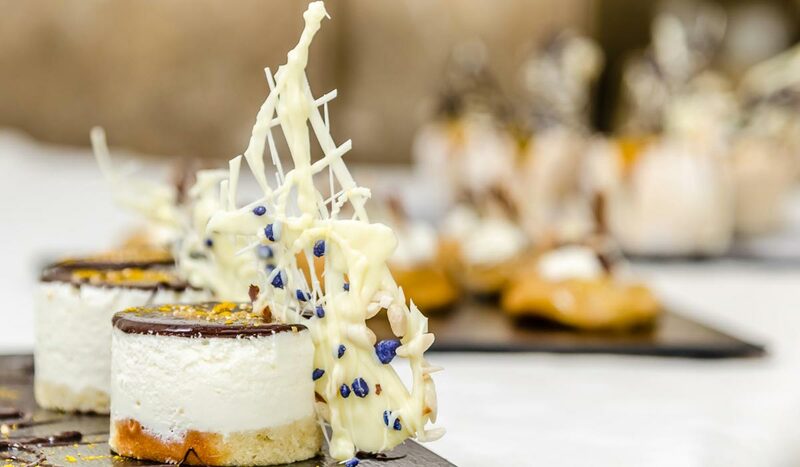 Includes: Tasting menu with wine or champagne included, double room with sea view, buffet breakfast and lunch menu. VAT included. (Supplementary 10€ in July and August). Double room with two beds, high floor, terrace and sea view. Minibar included in the price. Option to add extra bed or a cot on request. Double room with two beds, terrace and sea view. Air condition, TV. safe. Heating & AC. Free WIFI. Bathroom, hairdryer, amenities. Option to add a cot on request. 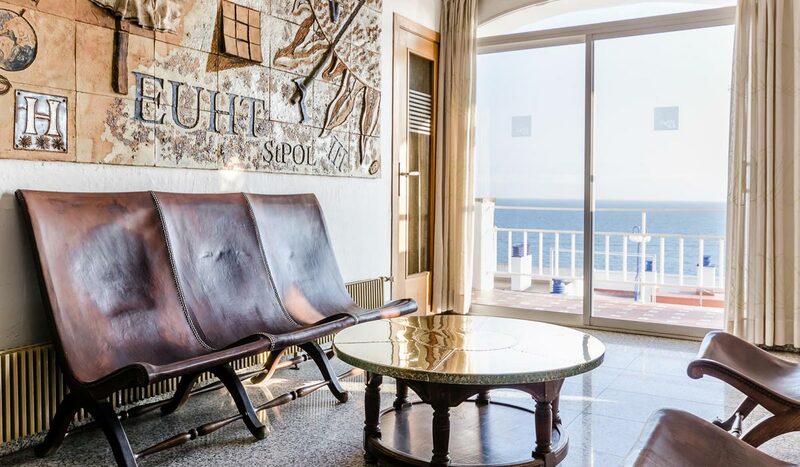 Magnific Superiror Rooms for three people, with private terrace and mediterranean sea view. There are two beds and an additional one. Option to add a crib on request. 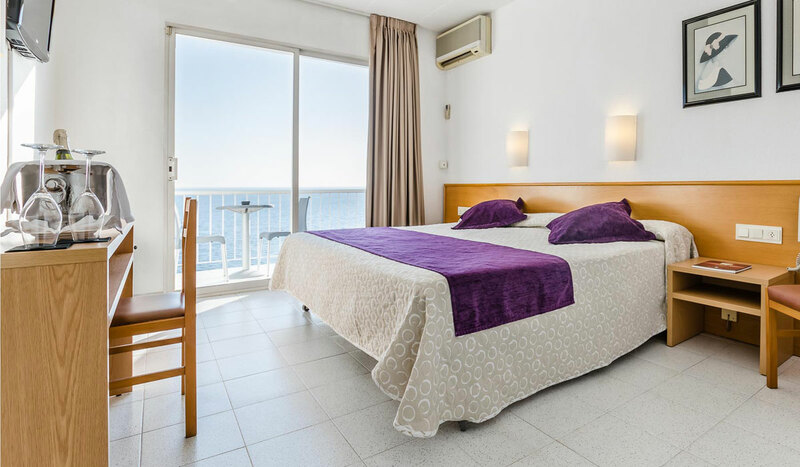 Superior double room with two beds, private terrace and magnific mediterranean sea view. 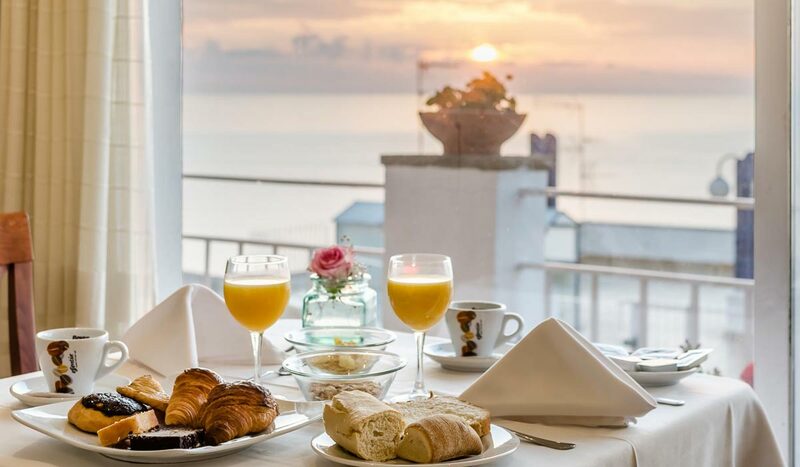 Single room with terrace and sea view.